Parents often head into the New Year with renewed goals and resolutions: eat healthier, work out, read more, be on the phone less, etc. Turning over the calendar to a new year is a logical time to prioritize our lives. As a parent, it’s interesting to notice things we want for ourselves we also want for our children. Camp naturally prioritizes these things for campers. Balanced meals, constantly being active, interacting with friends and staying unplugged. At camp, phones, tablets and the internet aren’t constantly at our fingertips. Video games are non-existent. The afterschool shuffling to and from different activities is a distant memory. By focusing on what’s important, we cut out a lot of the extraneous “noise” in our day to day. Don’t get me wrong, Camp Laurel gets LOUD. The Laurel Spirit is always alive and well, no matter what’s going on. 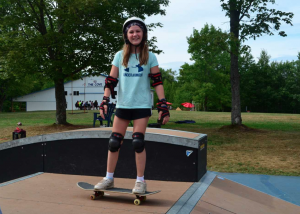 But without constant distraction from devices, campers learn to focus on the important things in life: living in the moment, building relationships and being a good friend. The New Year gives us a concrete reason for a fresh start. It’s also when the camp countdown begins in earnest. The days grow longer and summer inches closer. While we try to stick to our resolutions in 2019, let’s remember to be grateful for the opportunities our children have every summer at camp. How Camp Horseshoe Helps New Campers Adjust, Fast! We understand that coming to a new place can be an overwhelming experience. We have campers from all across the USA and around the world. One thing that everyone has in common: the first day of camp is the first day for everyone! Our staff are expertly equipped with tools to help campers feel comfortable and “belonging” the second the campers step off the bus and into our gymnasium. For our youngest campers, our staff unpack their duffles, organize their dressers, make their beds, and get their entire areas ready upon their arrival. Although it may not seem like a big deal, it’s one less thing to provide worry or anxiety for our new campers. 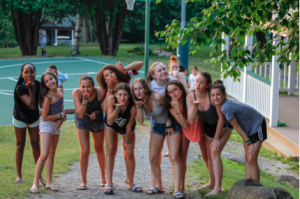 Night one is always “cabin night” where they will have the opportunity to participate in all sorts of different activities around camp with their cabinmates and counselors. Learn their name and more! At Horseshoe, we call everyone by their first name. Upon each encounter, we say hi to everyone followed by a fist bump. The first step to making new campers feel comfortable is getting to know, through connecting and building trust with them. When one of our counselors meets a camper for the first time, they’ll introduce themselves, give them a “fist bump”, tell them something about themselves, and then introduce them to someone else so they can make another new friend! All activities for the first week start with some variation of name games and other icebreakers to help all campers feel more comfortable. At the end of our first meal together, all new campers get a “big brother” who is in one of our two oldest age groups.The big/little brother system is just another way we forge and foster friendships and create comfort and familiarity throughout camp. As soon as the the big brother meets his little brother for the first time, he takes him on a tour of camp. 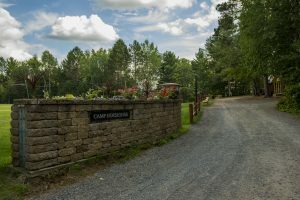 The tour is important not just because they get to spend time getting to know one another, but the new camper also learns and becomes familiar with the campgrounds. 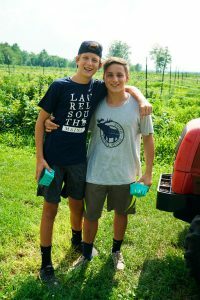 During the first week of camp, the big brother will spend significant time with his little during rest hour and other periods to help teach camp cheers and to help him integrate further into the Horseshoe community. They also complete the swim test with their big brother during the first couple days of camp. One added bonus: they get a big/little brother pizza party during the first week too! These are just a few of the constant ways that we are helping integrate new campers into the Horseshoe community! Everything at camp is moving. There are friends to see, activities to do and memories to be made all the time. One of the joys of being a camper is there’s always something happening, even if it’s just hanging with cabinmates and counselors. Often times it isn’t until we’re back home when we realize just how great our summer was. We’ll remember a random talk with a camper from another cabin on a walk to the Field House. Or a time one of our counselors organized a goofy game in the cabin. In real time, it can be hard to appreciate these moments as they happen minute to minute. But every now and then, everything at camp stops for a few moments and feels perfect. The place this happens most often for me is seeing the sun go down over Echo Lake. The sheer beauty of the scene can force us to stop and appreciate the colors in the sky, the warmth of the sun and the beauty of being surrounded by great friends. And that’s the true wonder of camp. It isn’t simply the sunset, the friends or the counselors, it’s how it all works together. And a sunset over Echo Lake reminds me to appreciate every moment I have at Camp Laurel. 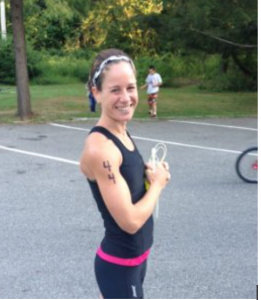 Brant Lake Sports Academy Women Lead the Pack! 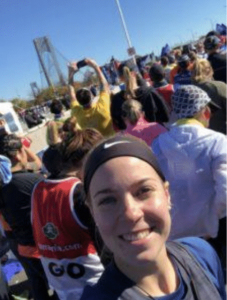 Kudos goes out today to Assistant Director, Chloe Grimes for completing her first ever NYC Marathon. “I set my mind to accomplishing this goal and if I wasn’t surrounded by such positive people, it would’ve been a hard goal to achieve”, says Chloe. Chloe’s sports interests range from little league softball to AAU basketball, which brought her to discover a professional career as an athletic trainer for a wide range of sports. In addition to running, she also plays Urban Professional League basketball. Learn more about how Chloe’s leadership guides Sports Academy girls during the summer. 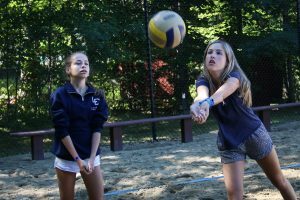 Campers at Brant Lake Sports Academy are just like Chloe and Rachel. They learn what’s required to be a female athlete. In an encouraging environment, they can push themselves mentally and physically to be their best. We focus on improving the athletic skills of motivated, sports-loving girls by providing training in many different sports. Our soccer, lacrosse, basketball and volleyball coaches are dedicated to teaching girls that they too can be empowered through sports. 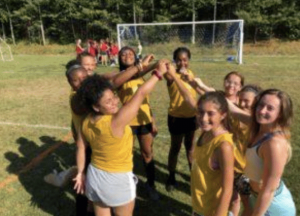 The nurturing and supportive environment at Brant Lake Sports Academy provides a unique place where girls can feel comfortable to push their limits and realize their potential on and off the field. 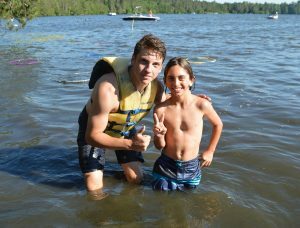 Spending a summer at a sleepaway camp is a fun way for campers to gain a new sense of responsibility and independence. For many campers, their first summer camp experience is their first experience away from home. As they learn to navigate a new place, adhere to a new schedule and new rules, and adapt to many new personalities, they gain a sense of independence that will help them mature and grow in new ways. However, the kids aren’t the only ones who do some growing over the summer. When parents say goodbye to their kids for the summer, they get to see the result of all of their hard work, modeling, and teaching as their children go off without them. Although it’s a bittersweet moment, it’s a milestone for both parents and kids. Without their parents by their side, campers quickly learn that they are responsible for themselves. While counselors are around for guidance and support, campers are given clear expectations at the beginning of camp and are expected to follow these guidelines without being constantly reminded. Things like keeping their space tidy, respecting quiet time and mealtime rules, getting to places on time, and maintaining their personal hygiene are their responsibilities. They get a taste of freedom while still being carefully supervised. They are given the privilege of free time, in which they can pick which activity they’d like to do. They learn quickly that as long as they don’t abuse this privilege, they have many freedoms and choices in regards to their camp experience. 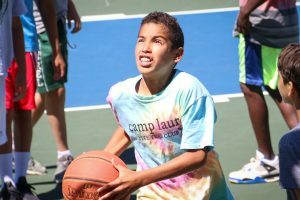 And while camp provides many sports, events, and activities to keep campers entertained, there are parts of the day that are unscheduled. Being at camp teaches campers how to productively manage this “downtime” without needing to be constantly entertained. Campers also learn independence during meal times, as they pick what they want to eat and are responsible for making healthy choices, not wasting food, and cleaning up after themselves. 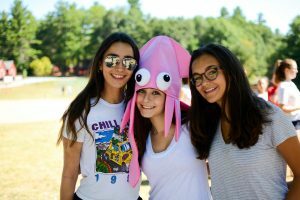 Meeting new friends is part of the traditional sleepaway camp experience, and even this aspect of camp helps foster independence in children. Starting conversations with strangers, working well with others, resolving differences with respect, and being inclusive of others are all things campers experience at America’s Finest Summer Camps. They do most of these things on their own, and the relationships they build are authentic and based on their own personal connections with their peers. 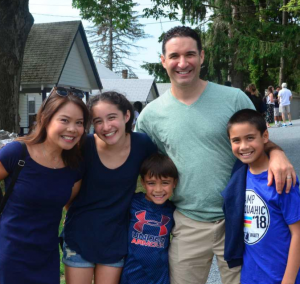 For many of the younger campers, their parents are still very active in creating social connections, but at camp, they learn to make friends all on their own. It’s common to see parents a little teary-eyed as they say goodbye to their kids on the first day of camp. It’s a significant milestone; trusting your child to go off into the world and hoping you’ve equipped them with everything they need to be successful. 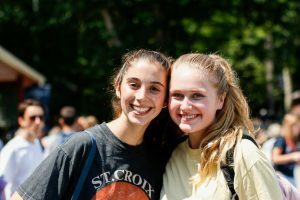 Thankfully, this is camp, not college, and your children will be surrounded by people who can help guide them and steer them towards positive decision making. By “letting go” for the summer, parents have time to reflect on the types of people their children are becoming, and can finally see the results of all of their hard work as parents. Seeing how successful your child is at camp can help you feel comfortable giving them more responsibilities and freedoms at home. Hearing about how you child felt confident making their own choices and decisions at camp and how he/she enjoyed being independent can make it easier for you to give your child more independent in other aspects of his/her life as well. Although this expanding independence is a sign that your baby isn’t a baby anymore, it also means that they have absorbed the lessons you’ve taught them are applying them correctly. The whole idea behind parenting is to raise happy, healthy, and productive people who can work independently within society. America’s Finest Summer Camps help with this. Spending the summer at camp is one way children can begin to spread their wings, find their sense of self, and discover who they are as individuals. Giving campers this independence is crucial for their self-esteem and self-worth, and is a great practice run for when they are finally out on their own. 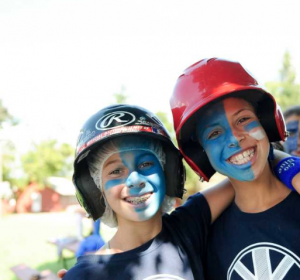 Going to camp is an emotional milestone, but a powerful one that parents and campers will remember forever. The holidays are around the corner. During this time of year, the word “tradition” gets thrown around a lot. The word “tradition” is often confused with “routine.” They’ve both become something that we do on a regular basis to establish or maintain a consistency or pattern in our behavior. So, what really distinguishes “tradition” from “routine”? Tradition is, by definition, community oriented. It’s a shared custom, belief, or activity with a common understanding of the reason for its practice. Tradition is something that is a common bond between multiple generations. It’s an acknowledgment that an event or action was significant to someone tied to our past, and the observance of traditions is our way of paying tribute to that event or action as well demonstrating our understanding of it. Routine, unlike tradition, is not necessarily multi-generational or even long-term. It’s something done for a specified length of time. While we maintain some routines for all or much of our lives, others are short term. Routine is task oriented. We take up routines to accomplish a goal. There is an intended result in routine. Tradition, however, is an observance. Routine is a way of moving forward, whereas tradition pays tribute to the importance of the past. By now, you’re surely asking yourself what any of this has to do with summer camp. In a culture that places a significant amount of importance on the establishment of routine, the value of tradition is increasingly less understood and appreciated. Laurel South is grounded in tradition. It’s a place where campers and counselors alike get refresher courses in the power of tradition. 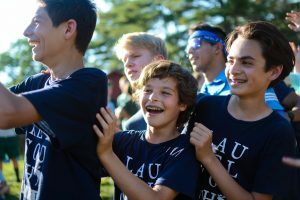 Whether it’s singing at a campfire, the Camp Brother/Sister program or Spirit Day, there are so many opportunities every summer for those at Laurel South to bond through tradition. Many former campers and counselors name “tradition” as one of their highlights of summer camp. If tradition has become an element of holidays past, consider giving your children a future opportunity to experience and enjoy traditions at Laurel South. Did you know that between the ages of 8 and 14, confidence levels in girls decreases by 30 percent? Did you know that sports increase confidence in girls as we increase physical activity, which eventually leads to greater overall health? At Brant Lake Sports Academy, our goal is to motivate and increase self-esteem in girls through sports by providing them with access to top-notch facilities and high-quality coaching. 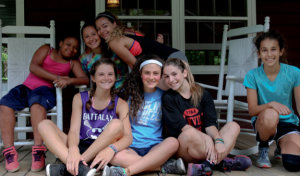 By placing girls in a safe environment at camp where they can not only grow physically, but emotionally and socially, girls go home feeling better about themselves. They leave camp excited to show their friends and families what they learned and talk about their experiences. 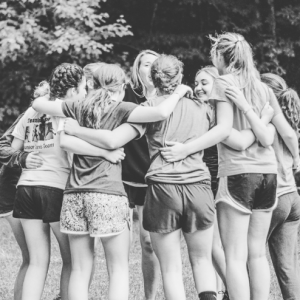 I recently came across this New York Times article with tips we can use in our everyday lives to increase confidence in girls, just like we do with our campers at Brant Lake Sports Academy.